Your team has been selected to bid as the sole distributor of Weight Shapers new range of gourmet pizzas. Creativity, originality, presentation and the pitch are the vital ingredients needed to win! What makes Pizza Bizarre so popular? Who can create the ultimate mystery pizza and win the multi-million dollar contract? The Brief: Your team has been selected to bid as the sole distributor of Weight Shapers new range of gourmet pizzas. Your team will now need to come up with a new, original tasting savoury and dessert pizza that they can sell to their customers. Taste, originality, presentation, packaging it all counts if you want to be awarded this multi-million dollar contract! The program begins with teams receiving their Chef aprons, base ingredients, utensils and cash. Teams will start with a walk through of their cooking stations and a view into the fresh food market to see what else is on offer. It’s time to begin collaborating together by making various decisions such as; What type of pizza base to make? What ingredients do they or don’t they have? What will they get from the markets? Who is assigned to marketing? Who will research recipes for the base and Who will cook etc? Once the planning phase it out of the way, it’s time for some fun team challenges. 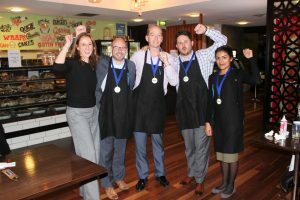 The winners of these challenges will be given first choice to the “The Markets” where they can select an ingredient to help them to create the ultimate Pizza. Taste, Presentation Originality and the Pitch all count if you are to win the contract! With the challenges out of the way, it’s time for teams to execute. There is food to prepare, marketing pitches to be created and teams need to watch the clock to ensure they deliver their Pizza orders on time or risk losing points. 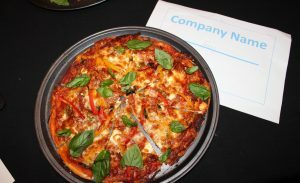 The event culminates with each team presenting their pizzas to the executive team from Weight Shapers where they’ll be scored on taste, presentation and originality. The scores are then tallied and the winners are announced where one team quickly discovers that they have been awarded the coveted Weight Shapers contract. Teams will then get an opportunity to relax, bond and enjoy some time sampling each others Pizza’s with a few drinks. 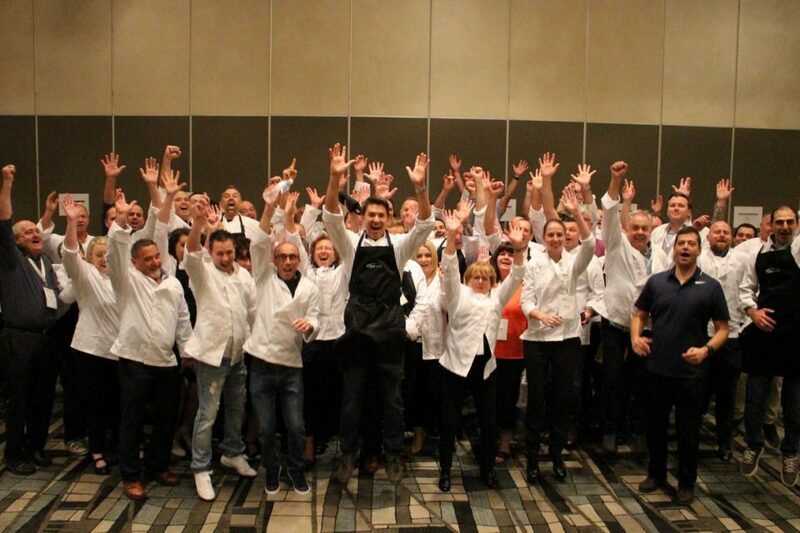 This team building cooking program is designed to be fun whilst allowing teams to showcase their communication, delegation, time management and creativity skills. Q: IS THERE ENOUGH FOOD FOR EVERYONE? 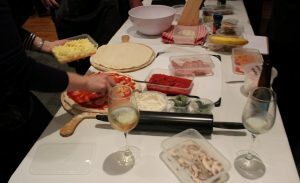 Teams will create at least two pizzas plus there is also some pre made pizza's made as well. So there is plenty of food in this program for everyone to eat and enjoy. Most groups will use the program as a fun team bonding exercise but also as replacement to your breakfast, lunch or dinner saving your budget. We suggest a minimum of 10 people for this program which allows up to 3 teams to participate. The maximum group size can be anwhere up to 100 people if you like with team sizes of 6 people. Q: WHY IS THIS PROGRAM SO EXPENSIVE? The program is more costly then most as we need to provide a qualified chef, hire pizza ovens and also provide sufficient food for the group. The larger the group the lower the cost per person. We can tailor the program from as little as 1 hour up to 2.5 hours if you like. It really depends on the size of your group.